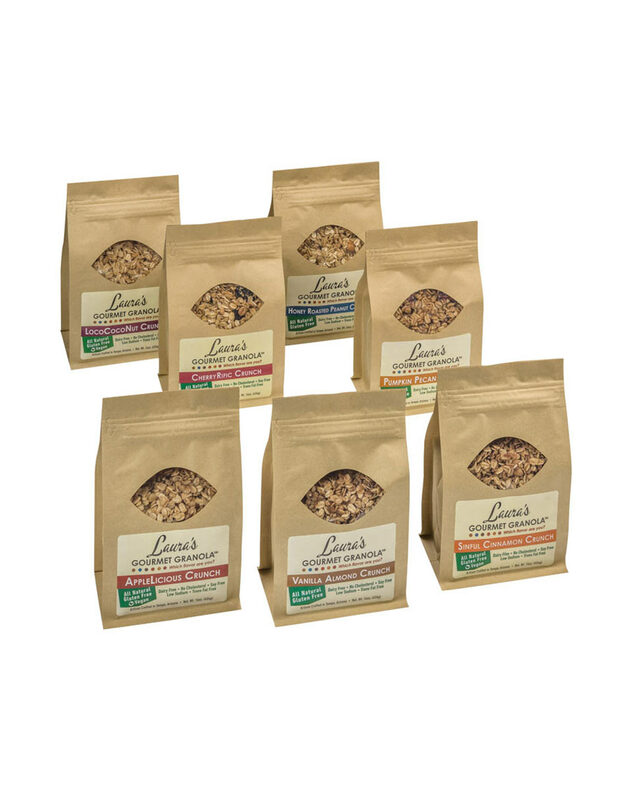 Laura’s Gourmet Granola™ is available in seven very satisfying flavors and the “which flavor are you?” Sampler Pack is designed to let you try all seven with a little cost savings for you! So don’t worry if you don’t know if you’re vanilla, peanut, pumpkin, applelicious, cherryrific, sinful cinnamon or locococonut. We know you’ll know as soon as you get out of the box and into these bags! We ordered this for our office, and it was perfect to share with everyone.